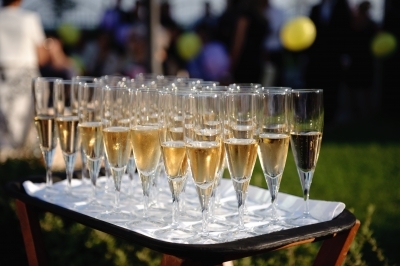 IF I ASKED YOU to name the main sparkling wines of the world, chances are you will list off Champagne, cava and prosecco. Such a response would be entirely accurate and similar to what anyone else would say. Sure, sparkling wine is also made in England, New Zealand, California, Canada, Australia and many other regions, but none so far has gained as much prominence as the three above. But while Champagne is France’s – if not the world’s – most famous sparkling wine region, it isn’t the only one. In fact, almost every wine-producing area in France has a sparkling wine, often known as ‘crémant’ and made in the traditional method like Champagne. The most important of all these crémants is comes from one of the oldest and most important sparkling wine regions of the world: Limoux. Sadly, most people probably haven’t heard of Limoux as a sparkling wine producer. Yet, like Champagne, most of its wines are of the fizzy variety and, in fact, there are claims that a group of monks at a local monastery produced the world’s first bubbly back in 1531. This region isn’t exactly in a place you would think fizz would originate. It is almost as far south as you can go in France before hitting Spain, tucked away in the Languedoc region near the Pyrenees. While the Languedoc is known for being a hot corner of France – with the wine styles to prove it – Limoux is a slightly cooler part of this region. The great thing about these wines is they are much cheaper than Champagne but can offer just as much enjoyment. Now, the reason I’m writing all of this mumbo-jumbo today is because last weekend as I was headed to Manchester to visit a friend I decided I wanted a sparkling wine as an aperitif. I wanted to find a bargain (not because I don’t think my friend is deserving of expensive wine or anything like that), but beyond that I didn’t have many requirements. As I was shopping I bounced from an English sparkler to Champagne and then…to a bottle of Roche Lacour Crémant de Limoux. We can’t say for sure if the monks in Limoux really did produce the first sparkling wine in the world, long before it appeared in Champagne (a competing story says it was invented in England first), but it’s a good story. Limoux sparkling wines come in two versions: Blanquette de Limoux and Cremant de Limoux. Blanquette de Limoux must be made with a minimum 90% of the mauzac grape, also known as ‘blanquette’, with the remainder being chardonnay and chenin blanc. Crémant de Limoux, on the other hand, can contain 40-70% chardonnay, 20-40% chenin blanc, 10-20% mauzac and 0-10% pinot noir. While young for a vintage sparkling wine, this has plenty of yeast and brioche on the nose like you would find with Champagne and nice bubbles without being too fizzy. In the mouth it is fresh with plenty of fruit and, while made in a dry style, has a slight bit of sweetness that makes it great for everyday drinking. Dry with all the richness and biscuity aromas of a sparkling wine made in the traditional method, this is 70% chardonnay, 20% chenin blanc and 10% pinot noir. Fresh and citrusy. Also a bargain at this price. When a wine is a Blanquette de Limoux, it must adhere to stricter controls on the types of grapes that can be used in the final blend. But this doesn’t mean it is going to be more expensive, as this example proves. This is biscuity and refreshing with apple flavours.